I tried to do the Windows diagnose problem option and it found nothing. Windows troubleshoot offers to restore to previous point 3/29/17. I tried that and it would not work. 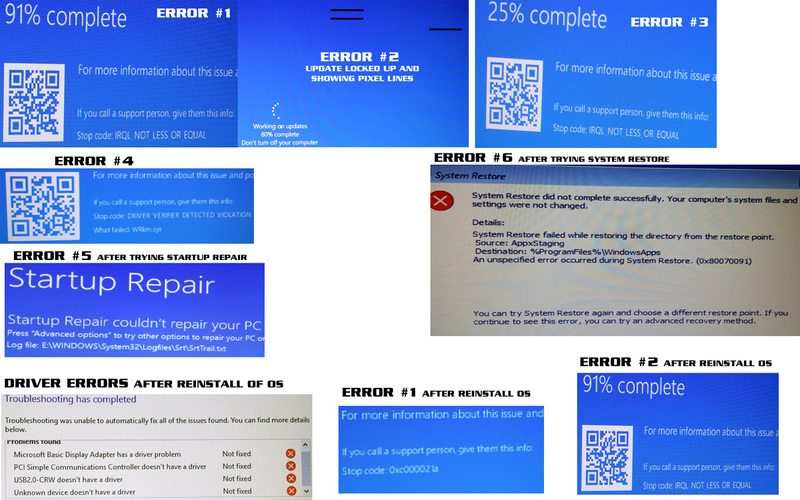 I also tried the Windows startup repair and it did not work. Next the computer locked up and as i tried to do a HARD shutdown it wouldn't turn off and then started BEEPING at me and sounded like it was coming from somewhere (underneath) other than the speakers. The screen went black but the SSD was still running. The edges of the screen showed that it was still active. It finally shut down. I waited several hours and turned on the laptop. I talked to a computer friend and he suggested a clean install of Win10. I finally contacted Microsoft and DL a copy to USB. After a clean install all seemed ok but there were a few issues with drivers. See pic. I DL'd teamviewer and installed. Before i could get my account open I got my first BSOD error since the clean install. See pic. I tried downloading the drivers from Dell but the speed was super slow so I downloaded them on my desktop to a USB and started running them. (video drivers) The network driver did not work. It told me it needed to restart to make the drivers active. I went to the power button to restart and it said update and restart so i selected that option. It restarted 3-4 times and each time the power button still said update and restart. Finally it seemed to be up to date. Shortly after I got a black screen and it said something like unable to locate OS. Never done that before, i'll give it a try. Since i've never run this before im not sure how to read exactly other than the memory fail. 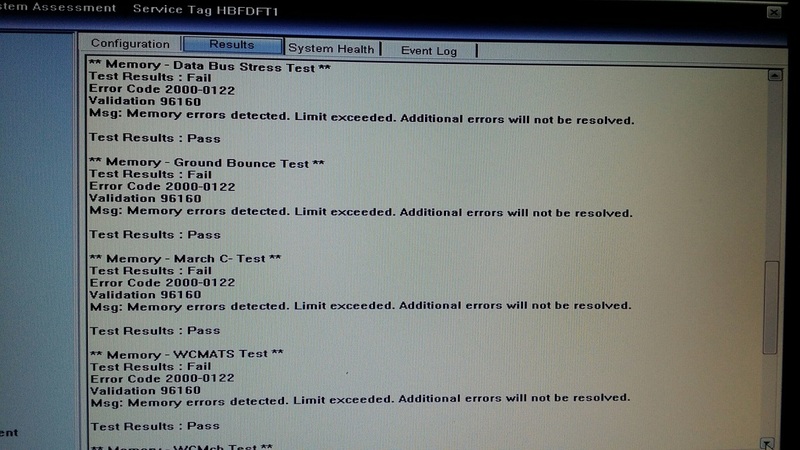 The 2 hard drives only show running and didn't get a green check mark. There was a memory fail but i'm not sure how to tell which one it is. 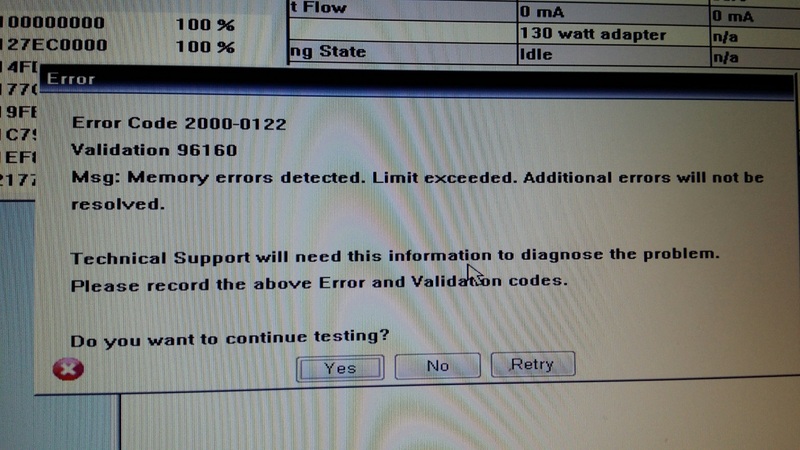 When i got the error code for the memory i selected YES to continue testing. The computer then locked up. I then did a hard shutdown and I again started to get a series of BEEPS. 4 in a row then a pause then 4 in a row again. Eventually it restarted. 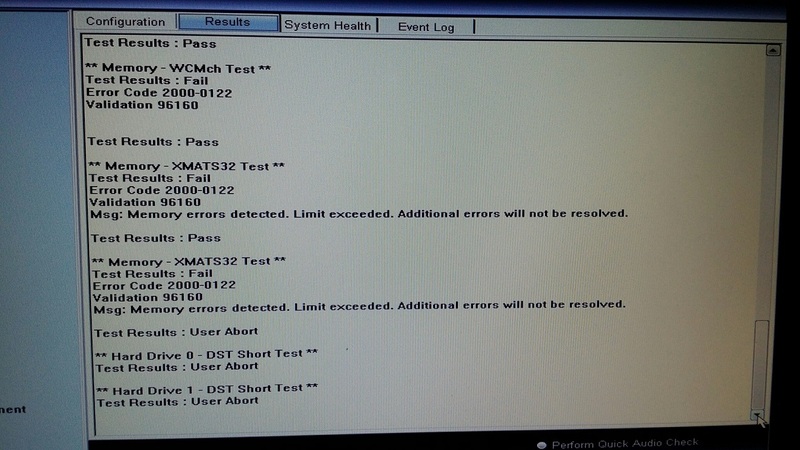 So i texted each dimm individually by leaving one in at a time and running the diagnostic. 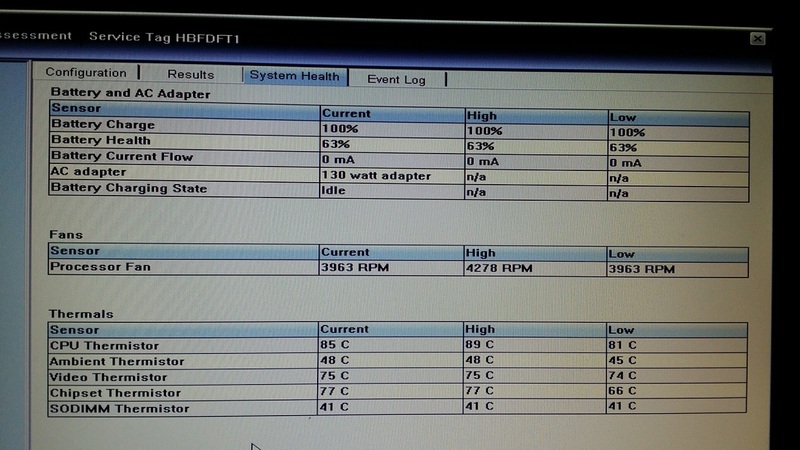 Each dimm tested ok but when i had both dimms in together they through an error. I tested them in both configurations. Dimm A in slot one and Dimm B in slot 2 and vise-versa. Each time BOTH were installed it gave errors yet individually they were fine.